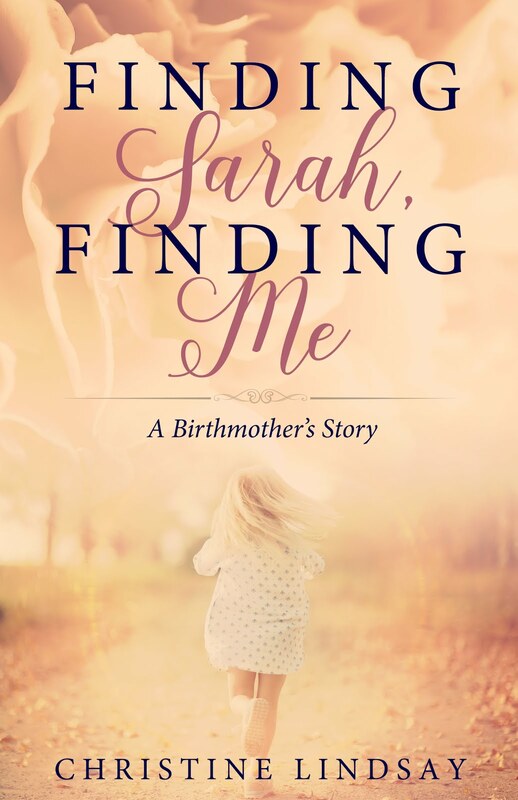 The braided memoir Finding Sarah Finding Me on Adoption is the heart work of many individuals. Below, is the Introduction to this memoir by William Blaney, Executive Director of Global Aid Network. Following that is an excerpt from the memoir that shares the secret of why Christine Lindsay is giving ALL royalties from this book to this mission organization. Introduction to Finding Sarah Finding Me by William Blaney, Executive Director of Global Aid Network. I have been told that one in three people’s lives have been touched by adoption. That would certainly be true for our family. Our lives have been so blessed by our daughter-in-law Sarah, who was adopted and is part of the journey shared in Finding Sarah, Finding Me. Sarah and my son Mark are the parents of two of our grandchildren. 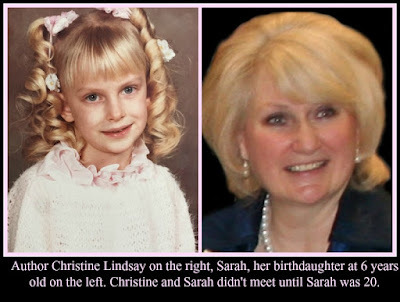 You see, these precious grandchildren would not have been possible had Christine decided to abort Sarah. 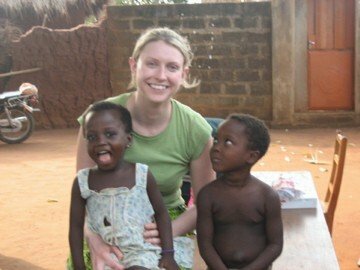 Sarah’s positive impact on so many lives through her love and devotion to God and people would have been lost, and that would have been a tragedy. As Executive Director of Global Aid Network (GAiN) Canada, I greatly value Sarah and Mark’s passion to relieve suffering and to practically demonstrate God’s love, in word and deed, to hurting and needy people around the world. Their chosen profession as registered nurses allows them to touch the lives of so many people. As of the writing of this book, Sarah is on maternity leave from her job as Project Manager for GAiN’s Women’s and Children’s programs, which focus primarily on working with orphans and fatherless children. My wife Susan and I have known about Sarah’s adoption story since shortly after she and Mark began dating as teenagers. We fell in love with Sarah. 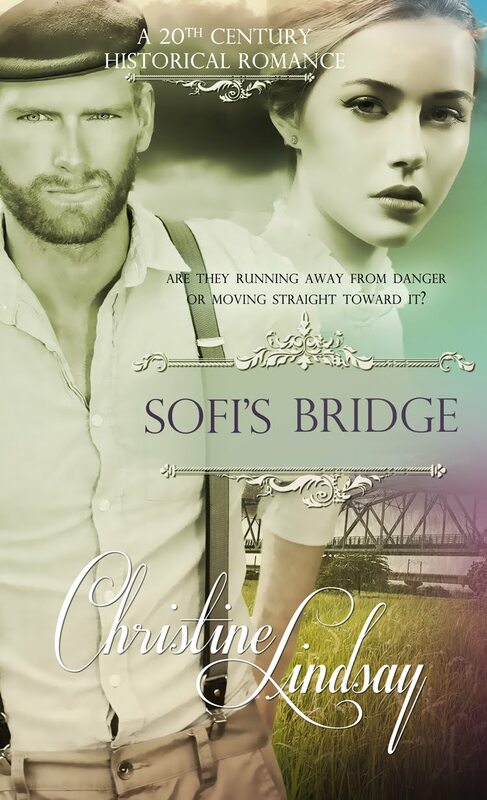 It was just before Sarah and Mark were married that Christine reached out to Hans and Anne, Sarah’s adoptive parents, to see if they would allow Sarah and Christine to meet. This book chronicles this journey. It is a journey with many peaks and valleys, of great joy and fulfilled hope. It is a complex journey, but one that has touched the lives of so many people. For life is God’s gift to us. Decisions we make will impact our life’s journey, and sometimes these outcomes appear to be all but hopeless. But joy awaits those who stay the course. 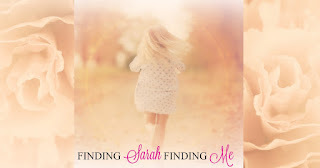 Finding Sarah, Finding Me chronicles two lives and decisions made that resulted in incredible joy in this journey we call life. Being adopted has not solely defined Sarah. 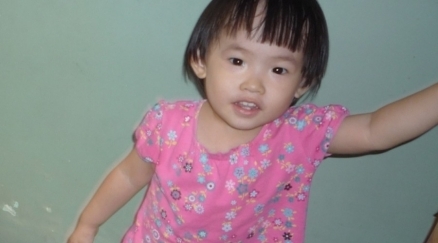 Her adoption story, rather, is only one facet of her life. As you read Finding Sarah, Finding Me, you will see that adoption does not solely define Christine either, or Anne and Hans, Sarah’s adoptive parents. Their story is really about God’s ever-guiding hand on each of their lives to achieve His purposes. It is, in the truest sense, a love story. We serve an amazing God who actually uses you and me—who make poor decisions, are weak, broken, and hurting—to touch the lives of so many people. Our lives are a testimony to others walking the same journey, for God brings light in the midst of our darkness, hope in our hopelessness. I feel privileged to be part of Sarah and Christine’s story, and to offer my thoughts on this work. Christine, having become aware of the work of GAiN through Sarah, has shared with me that she could not accept payment this story that is so precious to her. In the serendipitous manner that God worked in her story of finding her birth-daughter Sarah and thereby herself, Christine has arranged for 100% of author royalties to be donated to the Women and Children’s Initiative with GAiN. These royalties will be used to bring hope and joy to the women and children we are privileged to touch with Christ’s love, thus bringing these lives into God’s story for Sarah and Christine. I know that you will be deeply touched by this love story. If you know someone who is on a similar journey, please share this book with them. For God uses each of our stories in His great redemptive story, to bring hope and a new day to those He has brought into our lives for that purpose. And now, read the scene where God answers Christine’s prayer after 33 years, the secret in Finding Sarah Finding Me, and why Christine will give ALL her royalties to the Women and Children’s Initiative. While in India I rode the same railways, walked in the footsteps of some of my favorite real-life missionaries from the turn of the twentieth century. Though I didn’t visit the part of India where Pandita Ramabai built her Mukti mission, I’ve written a portion of my book to feature the ministry begun by that vibrant Indian Christian so many years ago. 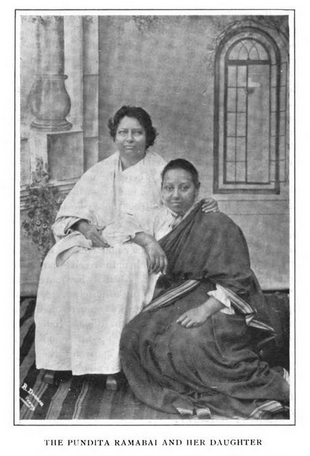 In this novel the romance of India acts as a backdrop for another spiritual lesson that I’ve learned—dying to one’s own agenda. I’m in the midst of working on the final chapters of Captured by Moonlight when Sarah and Mark phone, happiness brimming in their voices. They’re planning to visit us and share some news. A few days later I greet Sarah and Mark in our small front foyer and exchange hugs. The hugs from both of them are as warm and genuine as mine when I reach up to embrace them. I recognize the feel of their touch in the same way I recognize my favorite rose when it blooms each June in my garden. Though I only see it for a season, I know its fragrance well, and I know its needs. I lead them into the living room where a square dance of sorts begins with more hugging between them and David and Lana and James, and I note Mark and Sarah have hardly changed since their wedding thirteen years ago. Both are exceptional ER nurses in the States and remain tall and slender in their builds, and Sarah still looks every bit twenty-years-old rather than her thirty-three. As the square dance of hugging ebbs, conversations erupt with the same noisy din that flavors all my children’s gatherings. James and Mark are yacking up a storm as they sit close together at the ends of two different sofas, and Lana and Sarah are chatting just as vigorously from the far ends of the room. David beams as he interjects jokes into the two different conversations. In the kitchen nearby, I listen as I put a tray of drinks together, not needing to add a word. I glow on the inside like the gentle June sunshine on my rose garden, though I hope none of my old maternal neediness for Sarah shows. Nice and easy does it, I remind myself. Sarah’s eyes smile as she sends me a brisk nod. The eruption of chatter in the room simmers down. Together Mark and Sarah share their desire to work full time with Global Aid Network and present the mission as the rest of us listen intently. Their voices ring with energy as they explain how they’re not going out like traditional missionaries to live on the foreign field but will do the administrative work here in Canada and fly to various parts of the world frequently throughout the year. In a medical capacity they will maintain standards for the care of widows and orphans in developing countries. If they receive enough pledges for financial support, they’ll start with Sarah working for GAiN first, and Mark will follow. A flash of that poor woman I used to identify with passes before my eyes. She, sitting in the dust, hungry, forgotten, and holding out her baby, fills me with sadness. But here, with God’s help, there is hope that poor woman will find the same joy and peace as I have found. Sarah edges forward on the sofa, her eyes bright, as if she’s leaning as far into our family clutch as possible. 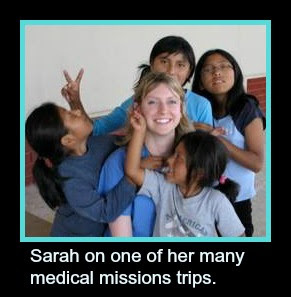 My soul dances that she’s finally becoming the missionary nurse she’s always dreamed of being. Here too is God’s work in a relinquished life, when God is allowed to work through the DNA of the person he’s created. I watch her excitement as she and Mark discuss which video to load on our TV so we can see the orphanages around the world that she’ll be working with. I sense her inability to remain static a moment longer as she leaves the polite constriction of the sofa and perches on her knees between the fireplace and TV. Her hands flutter through the presentation materials to choose which DVD is best. Her smile comes so readily, and a growing exhilaration sparks in me. She’s making herself at home…in my home, with not a hint of reserve as the short film begins. Still on her knees, she rests back on her haunches but leans up and forward each time she points out something on the TV. She settles back with a smile to watch the slides of children and outlines how GAiN’s Women and Children’s ministry works in partnership with other organizations. And I catch a new understanding in her tone. She knows that we care about her service to God not just because this is such a worthy missionary undertaking but because we are family. Whenever her open gaze connects with mine, something fizzes along my bloodstream. I know her. The pixels of that ghostly image of a girl I met at the reunion in 1999 have developed before my eyes. Just as it says in 1 Corinthians 13, for a long time we could see each other in a mirror dimly, but now we are seeing each other face-to-face. Right now, Sarah and I still only know each other in part, but one day I will know Sarah fully as I also will be fully known to her. The same for all of us when we get to heaven, to be known and loved by God, and by one another. That fizzing in my bloodstream rises up like a geyser in my chest. While she goes on to explain her goal to defend the rights of the fatherless and the weak and the poor, I push out a breath in a rush of adrenaline, and give one loud clap of my hands and laugh. She gives me a wide, uninhibited smile, complete with the shared knowledge that God has entwined both of our callings—me as a writer and her as a nurse—for this one shining moment in time, upon this one mission in India…of all the missions in all the world. That bond with Sarah I have wanted for so long is here at last. Not the bond of mother and babe that I lost and strove to get back. This bond is brand new for us, but it resembles to a smaller extent the bond I share with my other children, that shared interest in what God is growing in them. My maternal love for Sarah that I’ve never known what to do with now has an avenue to flow upon, just as it does for Lana, Kyle, and Robert. Adoption. It’s something that touches one in three people today, a word that will conjure different emotions in those people touched by it. A word that might represent the greatest hope…the greatest question…the greatest sacrifice. But most of all, it’s a word that represents God’s immense love for his people. Join birth mother Christine Lindsay as she shares the heartaches, hopes, and epiphanies of her journey to reunion with the daughter she gave up...and to understanding her true identity in Christ along the way. Through her story and glimpses into the lives of other families in the adoption triad, readers will see the beauty of our broken families, broken hearts, and broken dreams when we entrust them to our loving God.